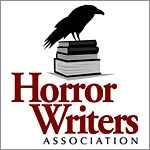 February is Women in Horror Month, and as a WiH I should be better about sharing it… but why when there are so many other people doing all the work already? The beauty of copy/pasta is that all I have to do is CTRL+V and my work is done. Special thanks to John Linwood Grant not only for promoting women in horror in February, but for supporting our efforts all year round. John is attached to Occult Detective Quarterly, an excellent publication, and runs Grey Dog Press. He also has excellent taste in canines. This is his list of women in horror that have graced the pages of his Grey Dog Tales blog. I am proud to find myself on his list twice. I’m in good company. Lynne Jamneck interviewed—find that link here. K J Charles’s Freximal reviewed—find that link here. Catherine Lundoff interviewed—find that link here. Jill Hand on all-women antho Fright into Flight—find that link here. Thana Niveau’s Octoberland reviewed—find that link here. Angela Yuriko Smith’s new poetry—find that link here. L T Meade’s classic mysteries—find that link here. Angela Yuriko Smith, Anita Stewart and Ashley Dioses on pottery—find that link here. Bessie Kyffin-Taylor’s strange tales—find that link here. Jackie Taylor and Carmit Kordov’s superb folk horror photography—find that link here. Everil Worrell and Cynthia Ward—find that link here. E Nesbit’s legacy—find that link here. Gwendolyn Kiste interviewed—find that link here. Bev Allen interviewed—find that link here. This entry was posted in #amreading, #AMWRITING, #KCLocal, #MakeItLocal, #PeopleCollection, #Poetry, #ReadLocal. Bookmark the permalink.